Hunting Lila was admittedly an enjoyable, unputdownable book. Reading it was like watching a very good action movie: you may snort at some stuff that go down, but inwardly you know you love every minute of it! 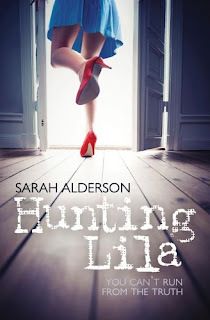 I liked everything that went on in Hunting Lila. It had a well thought-out and imaginative plot. You never lose interest, as the story is filled with mystery and suspense till the very end. I liked all the characters, as well. Except for *unnecessary drumroll* Lila! 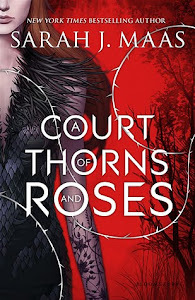 I would have absolutely loved this book and I would have been proud to list it amongst my 2011 faves, had it not been for Lila and her over the top drama queen-ess. You'd think that with everything that has happened to her, I don't know, like her mother dying and her moving out of the country and being separated from her brother, she would be a little bit more…mature and down to earth. But turns out all she thinks about is Alex, Alex, Alex. I know, who can blame her, he's so hot blah blah. And OK, Lila does think about her mother's murder and the mystery that surrounds it once in a while, otherwise she wouldn't go back to her brother to look for answers. When it comes to Alex, though, she can't help but act all needy and like a spoiled little girl, which we assume she is not. "Does Alex want me?" "Does he look at me?" "If he does, what does it mean?" "What does it mean if he doesn't?" "What is this woman doing talking to him? Back off". I mean, it reached the point of obsession at one point and it was not good. Especially, since what I mostly wanted to read about was why her mother was murdered and what secret mission her brother and Alex were working on. Also, showing strength and bad-assness on one hand and turning to jelly whenever you see the guy you like on the other, didn't really register well with me. You can't do both, that's for sure. That being said, I will definitely read Losing Lila, book #2, because I want to see what happens next so bad, that I'm willing to turn a blind eye to a 17-year-old's hysterics. Hiya, i love your blog and i love the "star theme" its lovely! Great review, looks like a good book.